HootSuite got the chance to speak with Integration Partner, Yammer, about the consumerization of enterprise apps and the challenges Social Media Managers face – specifically ways to stay connected without becoming inundated with information. HootSuite: Tell us about some trends or challenges you’re seeing around social media in your industry. Molly Bugler: Consumerization, definitely. In consumer social media, it’s about ease of use, applicability and adaptability. People demand tools that are easy to use and fit into their lives. This same concept is now extending to the enterprise. Why use a clunky, hard to navigate app that makes your job more difficult — enterprise apps should be just as easy to use as consumer social apps. The consumerization of the enterprise is pushing enterprise apps to mimic features and ease of functionality of consumer apps we know and love. Yammer is already an app that is built for the consumer – we iterate quickly and adapt to our user’s needs constantly – and we are excited as more companies are realizing the value of this. HS: What is your favorite HootSuite feature and why? 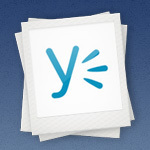 MB: The Yammer integration! As I’m writing this post, I have 24 tabs open on my Chrome browser, and 15 open on Firefox – don’t ask me why this is, but it’s how I’ve always worked. I can never seem to close a tab, in fear that the minute I exit, that’s moment I need information from the page. Anything I can do to consolidate the windows I have open (without having to completely get rid of them), the better. That’s why I was so pleased when the Yammer and HootSuite integration came into fruition. As the Social Media Manager at Yammer, there are two places I spend most of my time. First, (of course) scanning the social web. I use social media monitoring tools, like HootSuite, to stay informed on what is happening externally, talk to users, and share relevant information. I love being able to quickly scan the columns, get caught up on missed tweets, read the latest news – all from one window. Second, I use Yammer to collaborate across the organization, inform my colleagues on important findings, share what I’m working on and ask for help when I need it. Now I am able to bring these worlds together! I can create a separate column in HootSuite, dedicated to my Yammer feed. And the great news is that I no longer need to have two tabs open! I can have just one tab for both Yammer and HootSuite – success! Without having to leave HootSuite, I can easily connect both my internal and external efforts, and for me that’s where the really magic happens. If I see a tweet that requires action, but I cannot immediately help, I am able to jump over to the Yammer column and ask my colleagues for assistance answering a user’s request. Within moments, someone in my Yammer network provides the answers I need, and I can then respond to the tweet right from HootSuite! Talk about the speed of social. Yammer is all about making communication and collaboration better within the enterprise. The HootSuite and Yammer integration extends this view and delivers that ease to both internal and external communications. 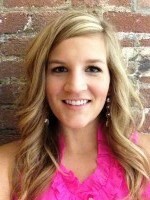 Many thanks to Molly for sharing their social media story with us! Have questions about Yammer? Tweet Molly @Yammer. 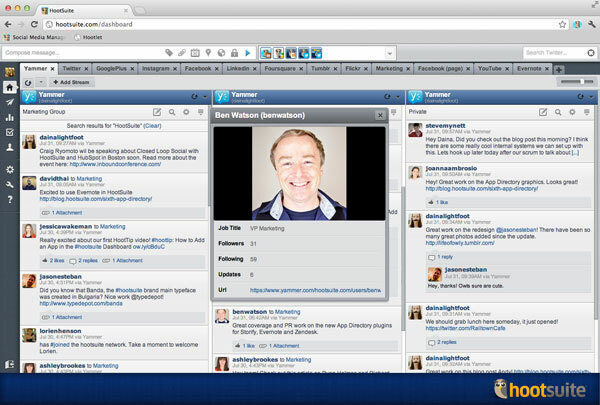 Have you tried Yammer in HootSuite? HootSuite’s integration with Yammer enables users to monitor and reply to Yammer conversations within HootSuite, making the transition between internal and external social collaboration even easier. HootSuite’s Integration Partner Program is designed to connect developers and organizations seeking to integrate their applications within HootSuite using the HootSuite Engagement API or App Directory SDK. To learn more or apply to become a partner, visit the Integration Partner Program.